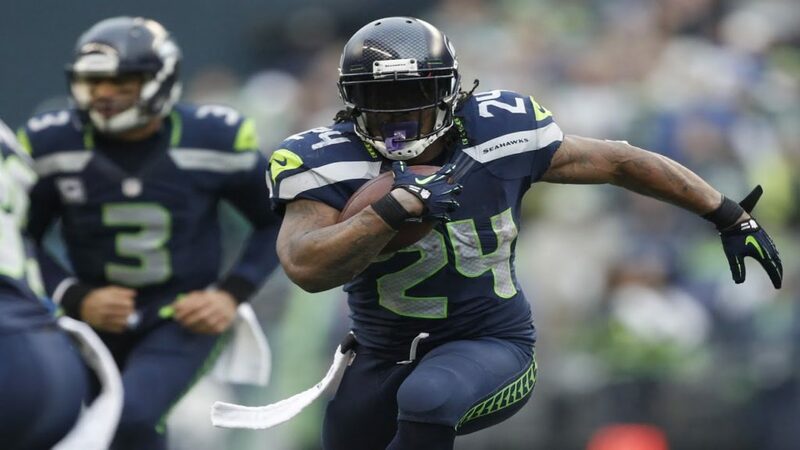 Minnesota Vikings RB Adrian Peterson Calls Seattle Seahawks RB Marshawn Lynch "2nd Best"
Minnesota Vikings RB Adrian Peterson calls Seattle Seahawks RB Marshawn Lynch is the second-best back in the league, despite having played only seven games and gaining 417 yards this season. Before that, Lynch, 29, had run for at least 1,200 in each of the past four seasons. One Response to Minnesota Vikings RB Adrian Peterson Calls Seattle Seahawks RB Marshawn Lynch "2nd Best"